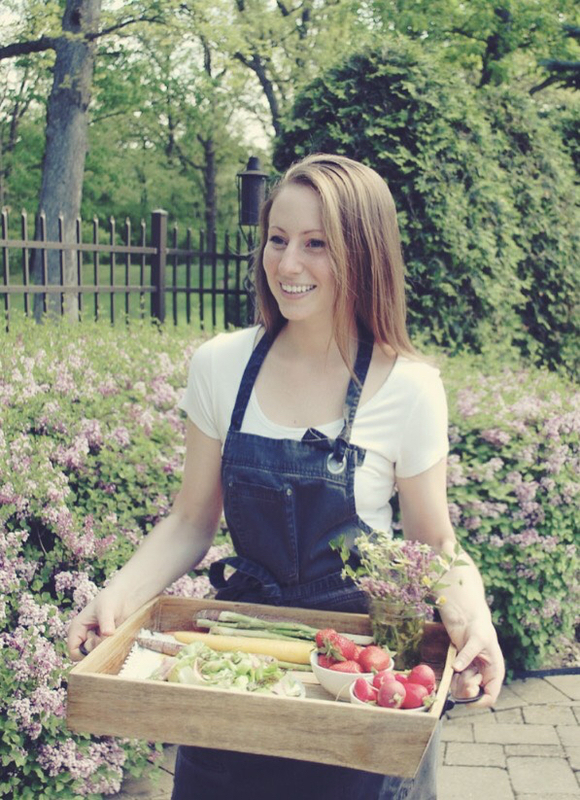 I love making a simple, vibrant dip to brighten up any celebration or gathering. 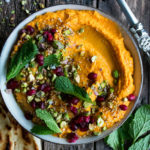 This spiced carrot dip is smooth and creamy, full of flavor from nutty tahini and a mix of spices, and perfect for adding to any appetizer spread. We definitely eat with our eyes, and sometimes while certain dishes are certainly delicious…it’s really the visual appeal that gets me. 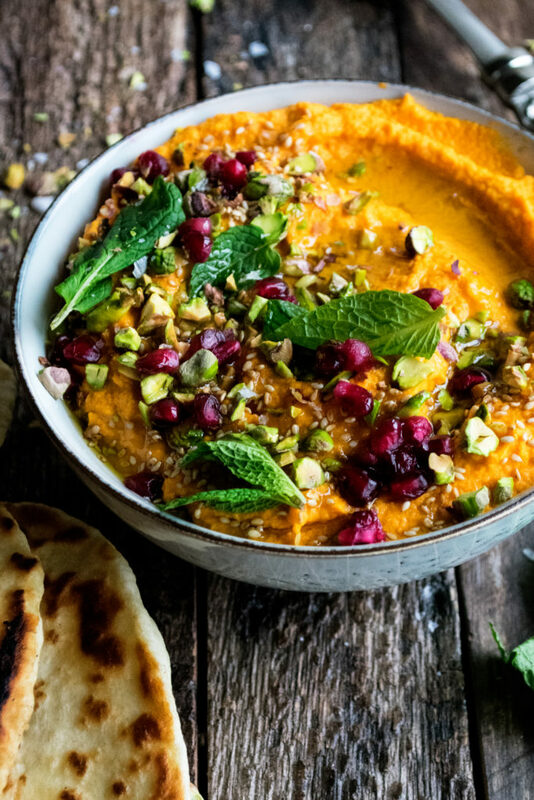 This spiced carrot dip is no exception. It’s bold, rich orange color and festive, textured toppings make for one of the most beautiful dips I could dream of. The process is simple – blanch the carrots, blend them with enhancing ingredients to create a smooth dip, and then top it with the works. I’m doing a combination of toasted pistachios, sesame seeds, pomegranate seeds, and freshly torn mint here…but you can absolutely play around with different nuts, seeds, and herbs. Give the whole thing a big swirl of olive oil right at the end, creating the perfect bite to dip into. I love serving this with homemade naan, but crackers or charred bread will do as well! Bring a large pot of salted water to a boil. Add the carrots and blanch them for about 6 minutes, or until fork tender. Transfer the carrots to a bowl of ice water to cool. Trim and discard the ends of the carrots, cut the carrots into chunks, and add them to a food processor. Pulse until finely chopped. Add the tahini, olive oil, water, lemon juice, honey, salt, smoked paprika, coriander, and cumin. Process until smooth and creamy, scraping down the sides of the processor as needed. Taste the dip and season with more salt, honey, or lemon juice if desired. 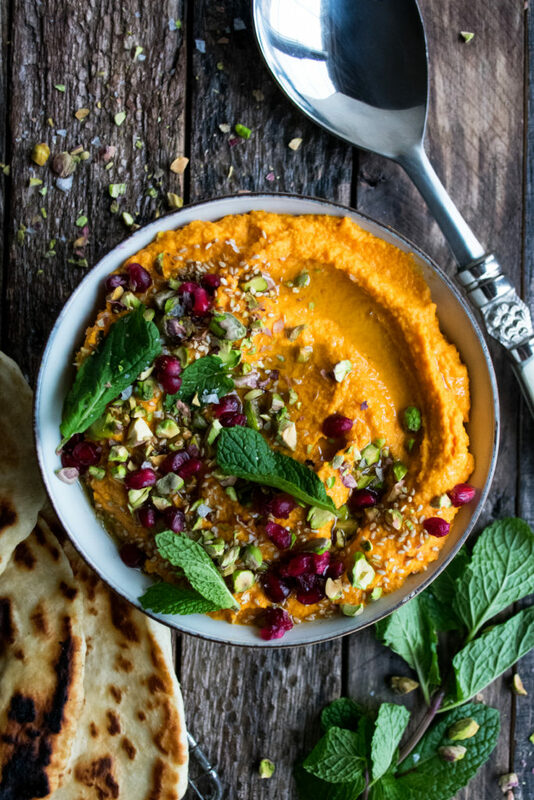 Garnish the dip with the pistachios, sesame seeds, pomegranate seeds, torn mint, and a good drizzle of olive oil. Serve with crackers, charred bread, or naan.